From Liberty Hardware, the Chapman Knob features classic detailing inspired by American heritage furniture. Crafted from die-cast zinc for long lasting quality and durability. Installation hardware is included and multiple finishes are available. The stylish Liberty 1-3/8 in. Flat Black Double Beaded Knob will attract attention to your cabinetry. High-quality die cast zinc base material in a flat black finish adds a bold finishing touch to your decor. Mounting hardware included for easy installation. 1-3/8 Chapman Knob, 1 per pkg From Liberty Hardware, the Chapman Knob features classic detailing inspired by American heritage furniture. Crafted from die-cast zinc for long lasting quality and durability. Installation hardware is included and multiple finishes are available. 1-3/8 Chapman Knob, 1 per pkg is rated 4.9 out of 5 by 17. Rated 5 out of 5 by Tom from Great knobs! Highly recommend! ... Great knobs! Highly recommend! Rated 5 out of 5 by Harley12 from This is a high quality drawer/door pull knob that is a fine accent to our cabinets. 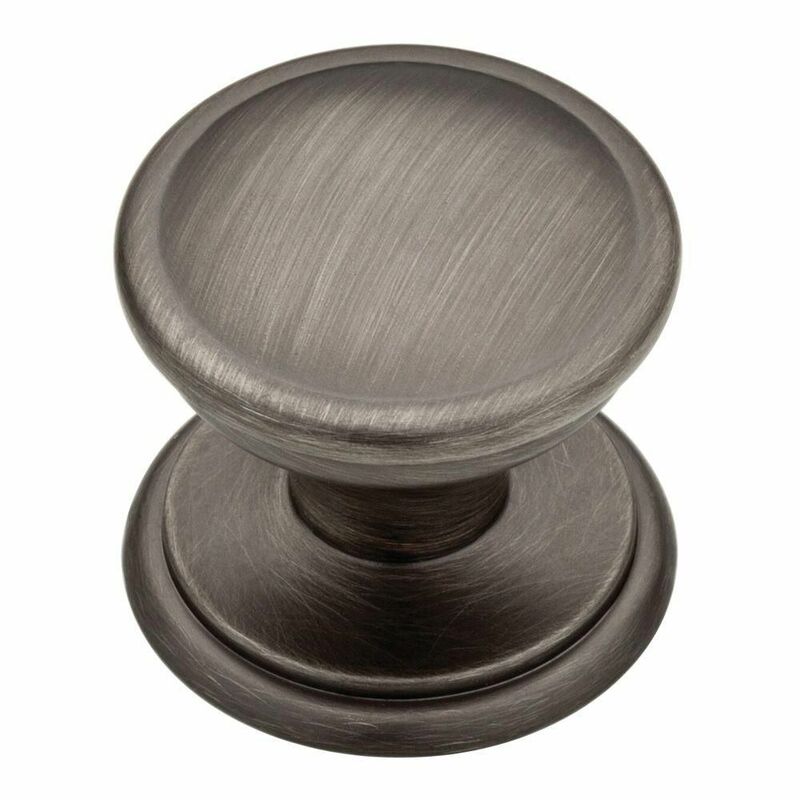 This is a high quality drawer/door pull knob that is a fine accent to our cabinets.